Jamie Campbell is a Canadian sportscaster currently associated with Sportsnet Network. He currently works as a host of Toronto Blue Jays telecasts. Previously, he provided the play-by-play from 2005 to 2009. The resident of Canada, Jamie Campbell, reportedly earns around $59,813, as his yearly salary from the network, and as of 2018, he reportedly has an estimated net worth of over five-digit figure. He is currently married and has 2 children from the relationship. 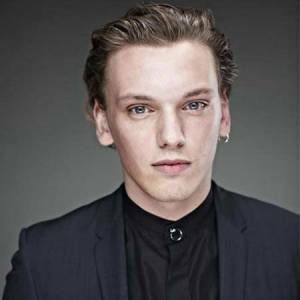 Jamie Campbell was born on May 20, 1967, in Oakville, Ontario. He holds a Canadian nationality and belongs to White ethnic group. Further, the details about his parents are not available in the media and additionally, he grew up along with his brother named Andy Campbell who is also a journalist by profession. Jamie Campbell after graduating from Oakville Trafalgar High School joined the Ryerson Polytechnical Institute and acquired his degree Bachelor's degree Applied Arts in Radio and Television in 1989. At the age of 20, Campbell worked with Chris Cuthbert and Brian Williams as a librarian and runner in the Hockey Night in Canada. Jamie Campbell is one of the most popular Sportsnet anchors who has made a successful career as a sports anchorman. As Sportsnet is a popular Sports Network, it is well known for paying a heavy amount of salary to its sportscasters. As Jamie Campbell is a regular Sportsnet anchor, he earns a decent amount of salary from the network. The Canadian sportscaster/anchor Jamie Campbell has an estimated net worth over five-digit figure. As of 2018, the reporter receives an annual salary of $59,813 or more from his successful reporting career with Sportsnet. Further, Sportsnet reporter receives an added sum of money from his radio and TV guest appearances as a sports pundit too. According to ziprecruiter.com, the estimated salary of the sports journalist is $46,229 per year. In addition, the salaries of the sports journalist may vary from $18,000 to $100,500. We can, therefore, conclude with all the assumptions that Campbel has earned a decent amount of money from his career. With a heavy experience in journalism, the sports network journalist really enjoys his splendid life and collects a whopping net worth. In 1993, Campbell moved to Edmonton, Alberta, to work for the Canadian Broadcasting Corporation as a sportscaster and covered Edmonton Oilers, the Edmonton Trappers, and the Edmonton Eskimos. In 1998, Campbell was offered a job as an anchor with CTV Sportsnet network( now Rogers Sportsnet). He hosted the first show of the network, Sportscentral along with Daren Millard. In addition to anchoring in Sportsnet, Campbell reported on a variety of events, such as the Super Bowl and the Olympics. He has gained play-by-play experience in the Canadian Football League and in the Arena Football League. Later from April 8, 2002, he started providing play-by-play commentary for the Toronto Blue Jays, covering for Rob Faulds after the death of his father forced him to miss a game. In 2005, he took over as a play-by-play voice Blue Jays in Sportsnet and replaced Faulds after the death of color commentator John Cerutti. In 2010, Campbell hosted the newly created Blue Jays Central pre-game show alongside former Blue Jay catcher Gregg Zaun. He is now hosting the show with Joe Siddall because Zaun was terminated by Sportsnet in 2017. As per the reports, Jamie is a married man. Further, he has 2 children but the details about the mother of his children are not surfaced in the media yet. In addition, the famous sportscaster is pretty famous in his country Canada, having enormous followers in his social media account. Reportedly, he currently resides in Toronto along with his wife and children. Further, the details about his height and weight are not available.